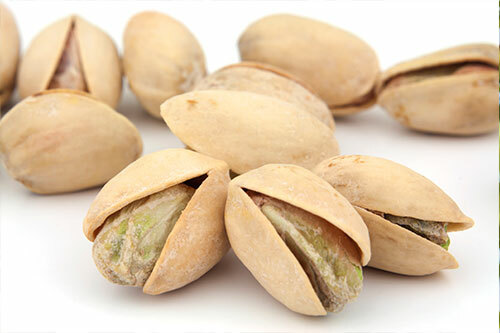 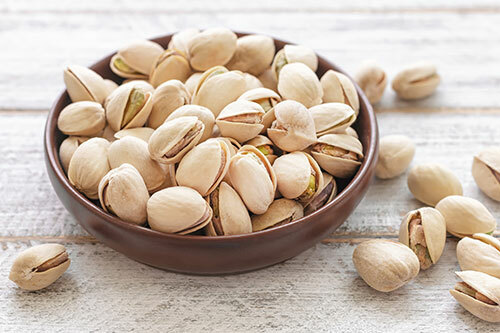 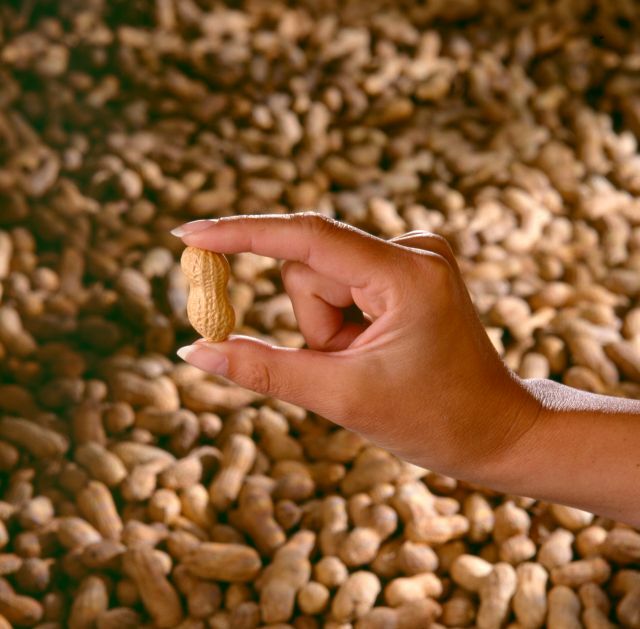 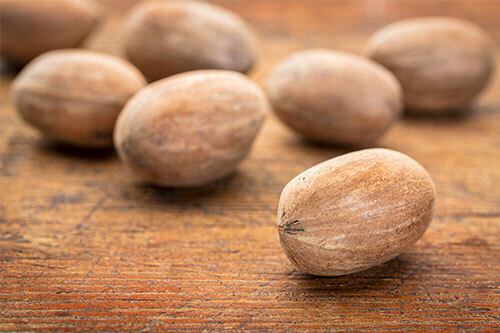 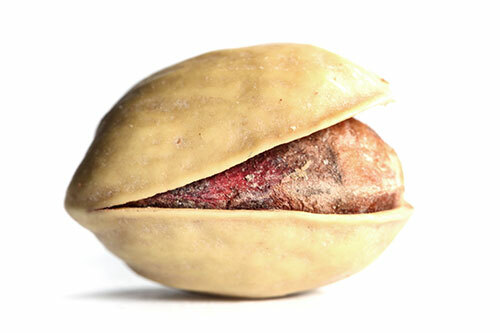 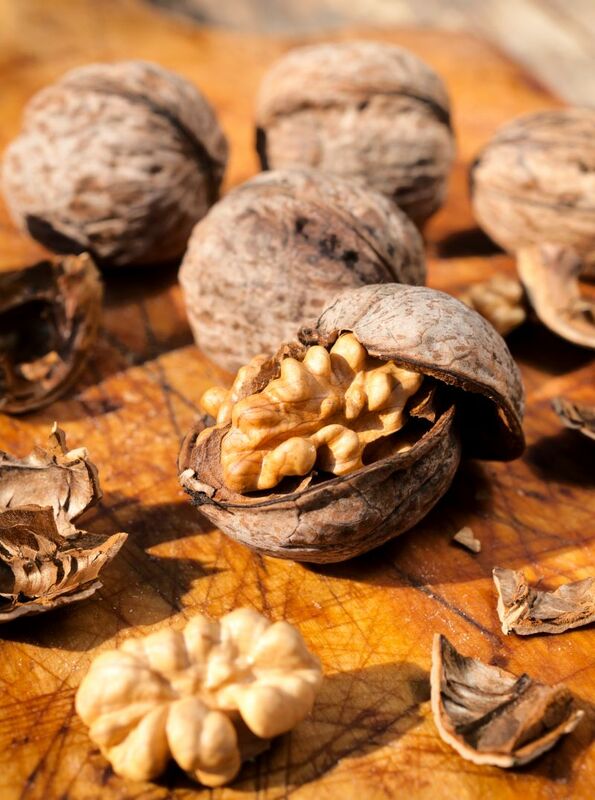 Pistachios are one of the oldest edible treenuts, being known for over 10,000 years. 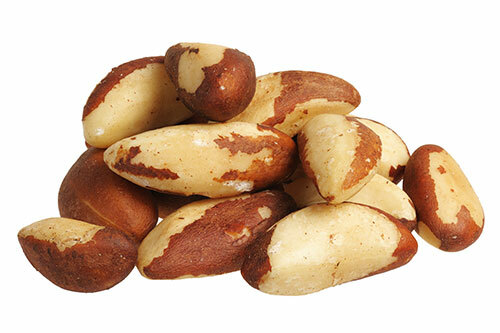 They originated in South East Asia and today the principal producing countries are Iran, Turkey, USA, Greece and Italy. 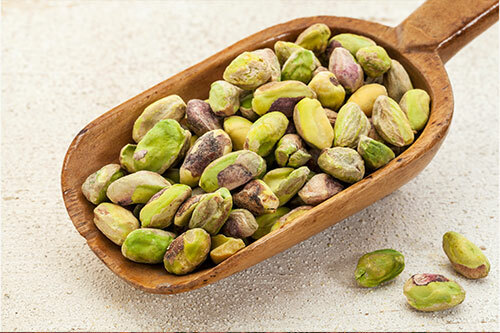 They have a characteristic green colour and the shell opens naturally at the more pointed end which has attracted the name "smiling pistachio" in Iran. 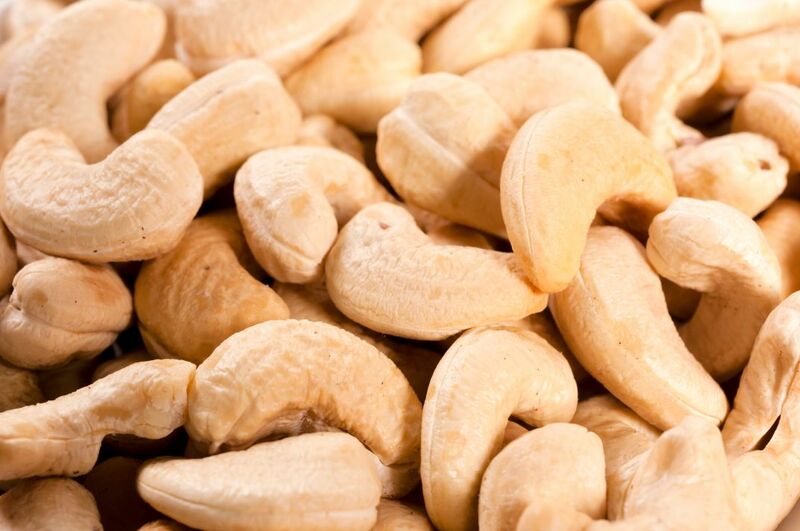 They are mainly used as snacks (roasted and salted) and in confectionery/ice cream.